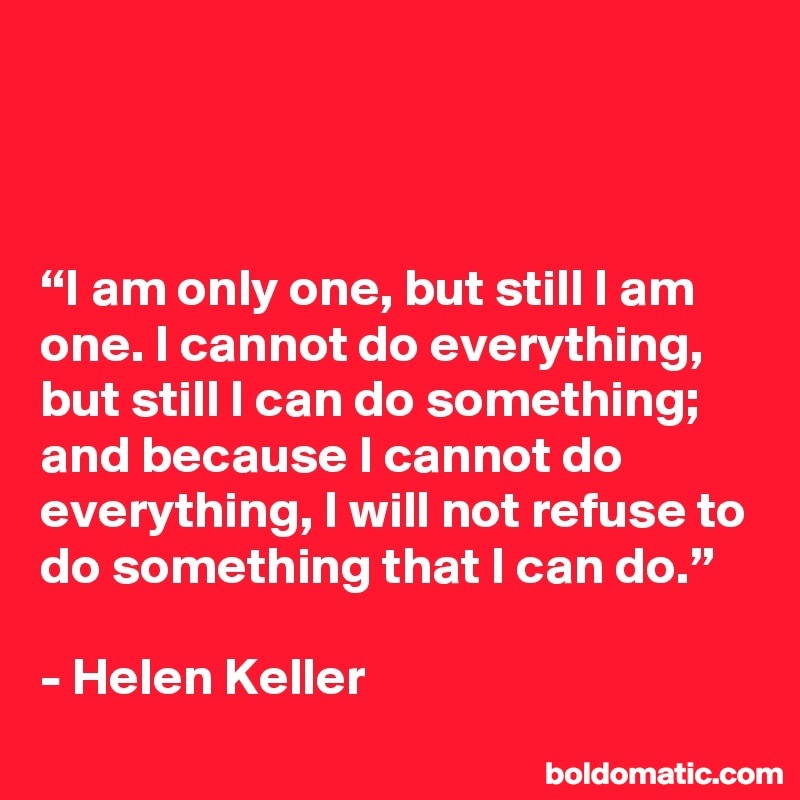 #blogg100 – Basis for action. Sometimes I am accused of being too hopeful. That nothing will come of it. That I should be doing more – in a sense – everything. I sometimes retreat, hurt, wounded, saddened and defeated by these accusations. Worried that I am not doing enough, that my hope for and positive beliefs of a better and more loving world, are futile, pointless, without meaning. But then I take comfort in the fact that I have hope. I’d rather have that, than be cynical and defeatist. And I take comfort in the fact that I am not alone. There are others who, like me, are hopeful, and that, like me, use that as the basis for action. Stemming from hope, action can – and should – be taken. But action is not merely something that’s in the doing, which I think a lot of us believe. We’ve forgotten that action can also be in the being, as well as in the more subtle doings that are not visible. In thinking good thoughts. In spreading energies of love and generosity. In staying silent. In letting someone else shine, holding a space for them to be able to do just that. 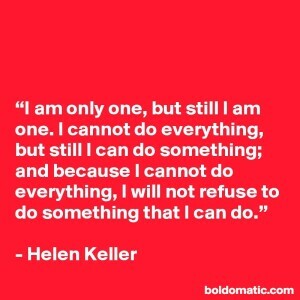 Like Helen Keller says, I cannot do everything, but I can do something. And I keep on getting more and more proof that the attitude with which I step into something – regardless of what – matters a great deal. Do I want to get away from something, or am I eager to get to something else? A world of difference in the feeling within. So yes, action stemming from hope is amongst the finest action we can take. With a spring in our steps, with bounce and eagerness, wanting change, willing change, inspiring change. Being a force for, rather than against. With an eye to today and tomorrow, leaving behind us the thing of the past, which is what is is. But it does not have to be the same tomorrow, not If I take action, if we take action. So act, by all means. Act! #Blogg100 challenge in 2017 – post number 22 of 100.